Due to export regulations the IR Flags cannot be exported outside the United States. This restriction includes military APO/FPO addresses. Orders from restricted areas are subject to cancellation without notice. 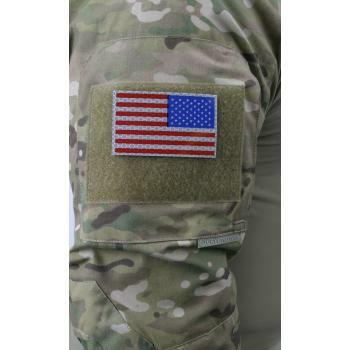 An essential item for combat identification of friendly troops. 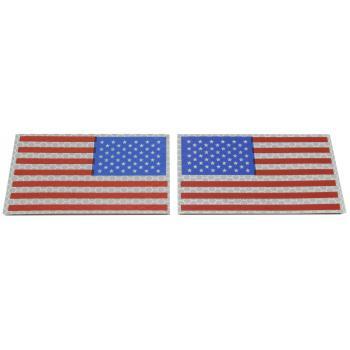 These full color IR US flags reflect Infrared and visible light. 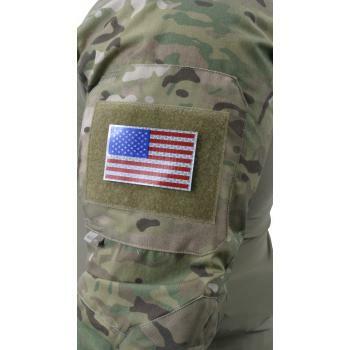 Measures 2 1/8" X 3 1/2" and backed by hook and loop fastener. Left hand and right hand flags available. IR bloodtype patch not included. Available in Red, White and Blue or Tan. Export of the commodities described herein is strictly prohibited without a valid export license issued by the U.S. Department of State, Office of Defense Trade Controls, prescribed in the International Traffic in Arms Regulation (ITAR), Title 22, Code of Federal Regulations, Parts 120 130.